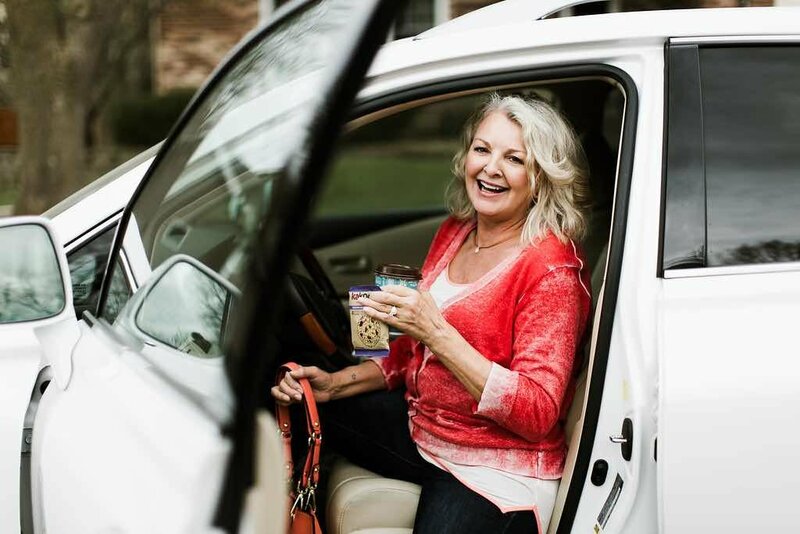 In a world bursting with over processed snack bars, we dare to be different by creating deliciously flavorful, nutritious, grab-n-go "better for you" cookies. You won't find anything artificial. 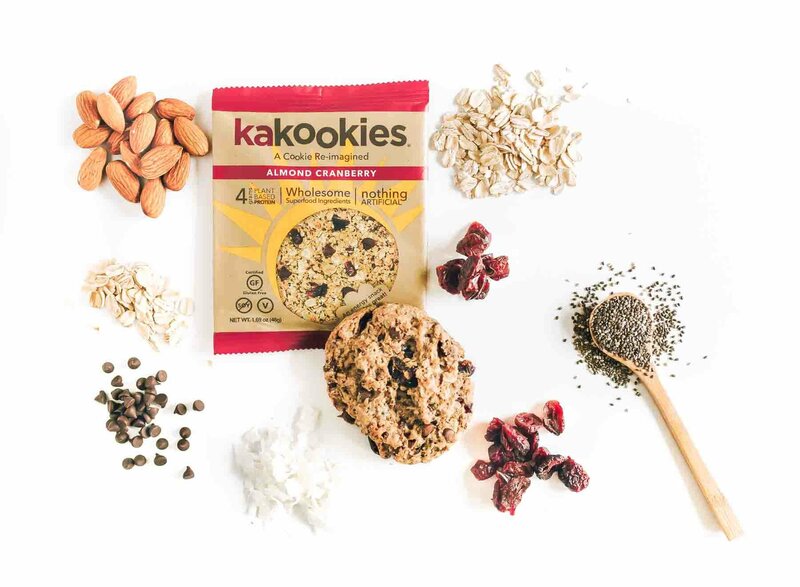 Just real food, made with wholesome superfood ingredients. 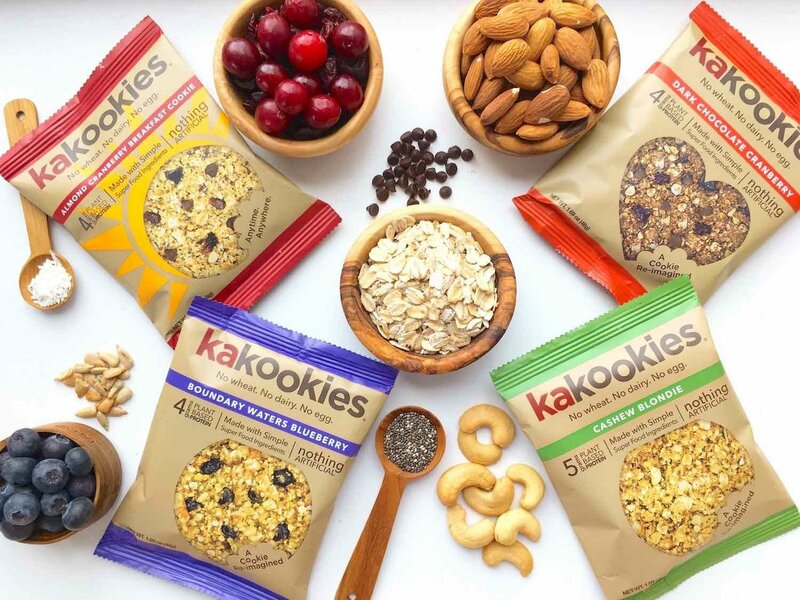 All Kakookies are Vegan, Gluten-Free, Dairy-Free, Egg-Free, and Soy-Free. 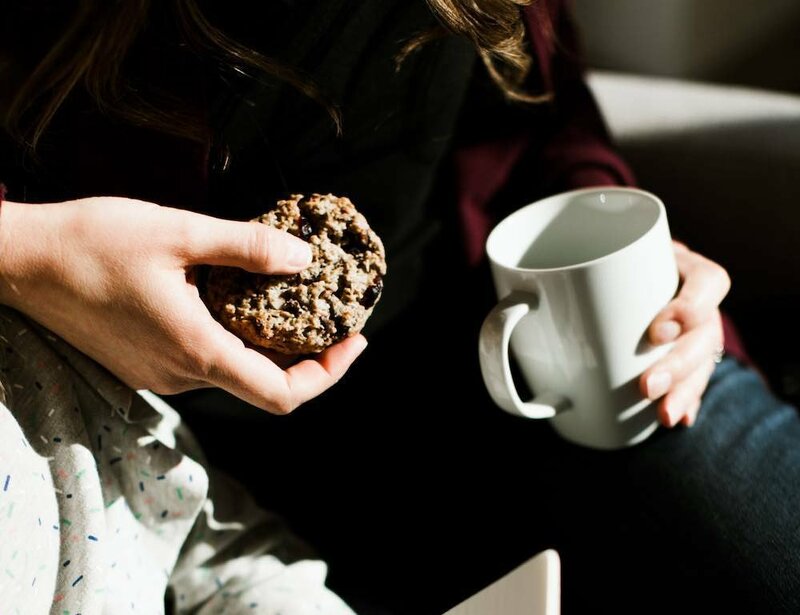 Our goal is to make a “better for you” cookie that still tastes great. We call it THE PERFECT BALANCE. Because life’s all about balance, right? No artificial sweeteners, flavors, or preservatives. No flour substitutes, protein powders, liquid sweeteners, or egg/dairy replacements. Just pure, real food ingredients. We’re all busy, right? So we’ve made this tasty snack portable for any occasion. Individually sealed, grab and go goodness when you need it most! Throw in your purse, stash them in your desk, toss in your work out bag, pack in your suitcase or backpack for all of your outdoor or travel adventures. Good anytime, anywhere. CONCLUSION: You can have your cookie and eat it too! 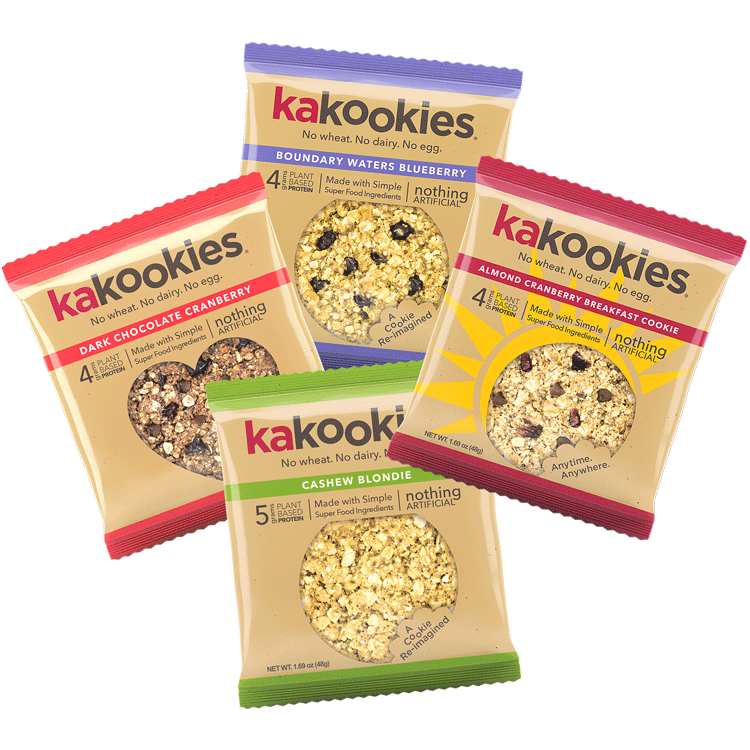 Kakookies are "Better For You" grab-n-go, deliciously flavorful cookies made with clean, superfood ingredients. Soft-baked, moist & chewy, wholesome treats that satisfy cravings and sustain energy. 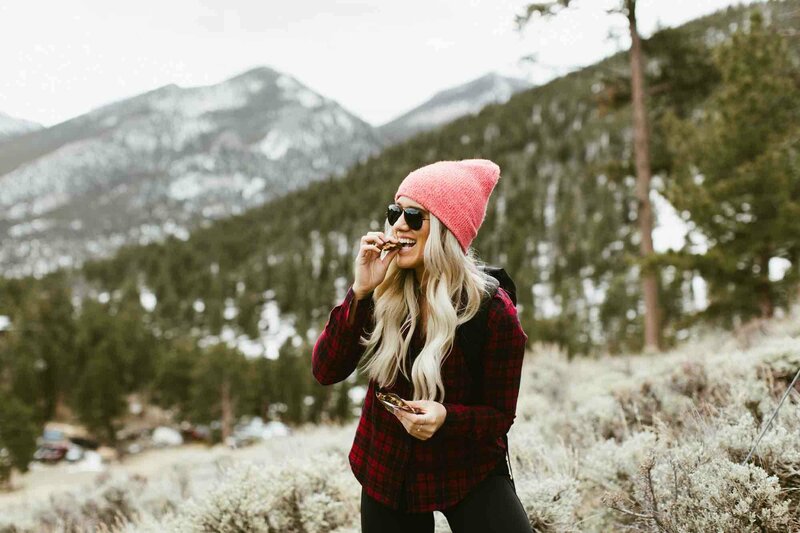 A convenient snack for travelers, athletes, outdoor enthusiasts, busy families, & anyone leading an active, healthy lifestyle. Good anytime, anywhere! We don’t compromise on ingredients or flavor. Nothing artificial. Vegan and Gluten Friendly too.